What’s the best thing about Halloween? Candy, of course. 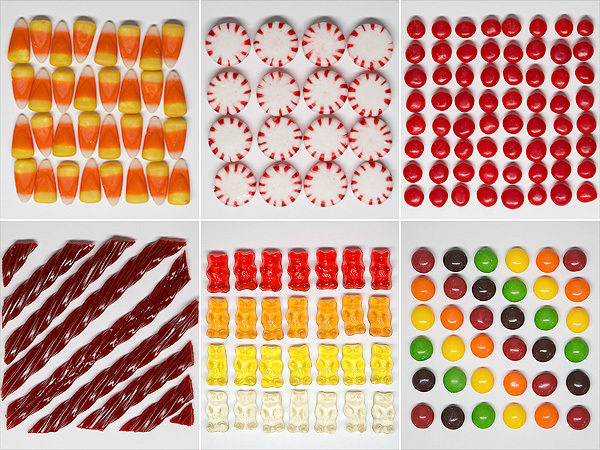 But the question is, can vodka make candy even better? In the spirit (…get it?) 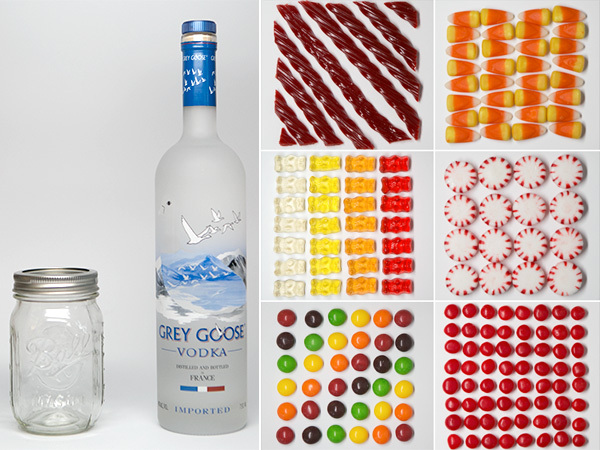 of culinary investigation, we tried mixing up several batches of homemade candy-spiked vodka to see which sweets taste the best and which ones should be avoided at all costs — we’re looking at you, candy corn vodka. 1. 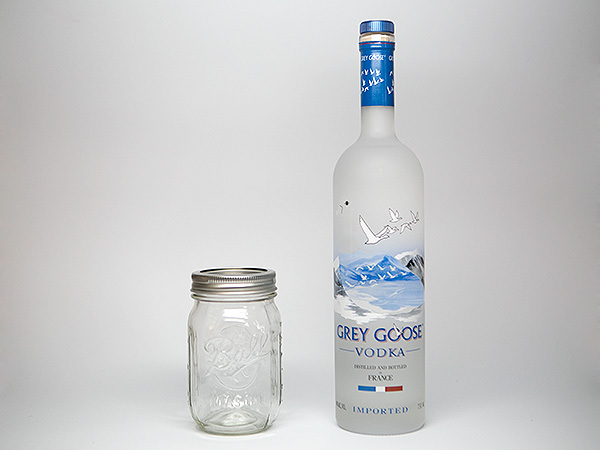 Start with your favorite vodka and a glass jar with a lid. The mixture will need to sit overnight, so it needs a tight cover (or else your mixture will be infused with a lot more than candy!). 2. Pour in the vodka, filling up the jar about two-thirds of the way. 4. Candy, meet vodka! Toss in a handful of candies (about 4-8 pieces of the same kind of candy), cover the jar and let it sit on the counter overnight. Don’t let the mixture soak for more than 24 hours — you’ll see why in a second. 5. The next day, strain out the candy and check out those sweet colors! 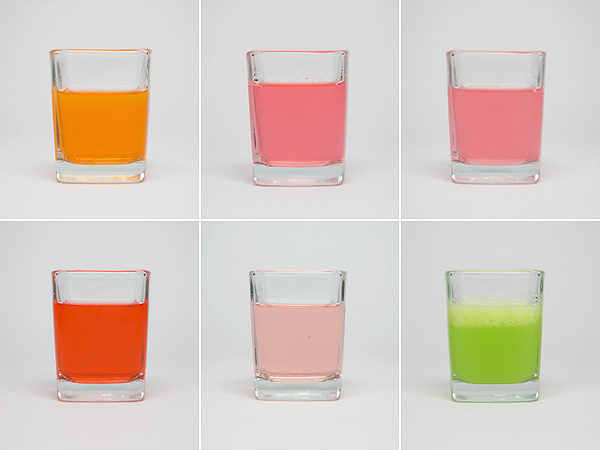 The we’d-still-drink-it: Gummy bears. The vodka doesn’t taste exactly like a gummy bear, but it has a subtle candy flavor that may appeal to drinkers who are looking for a lightly-sweetened mixture. “This would be great mixed into a fruity cocktail,” said a staffer. Although we tried each vodka straight up, we learned that they don’t make great shots. Our suggestion: Mix them with ginger ale, lemon-lime soda or seltzer for a quick cocktail. They’d also be great in a party punch. —Don’t let the candy infuse for more than 24 hours. Look at that last shot — the creepy, Swamp-Thing-green one. We let the Skittles soak longer than we should have (a couple of days, actually) and the candy started to dissolve, and we ended up with this weird, sludgy “foam.” Yes, it gives a great gross-out effect, but maybe a little too gross. —Choose your colors wisely. If you’re using candies that have the full rainbow, only pick a few flavors in the same color family. Otherwise you’ll have a purple-y brown vodka that no one wants to drink. —Stick with simple flavors. You don’t want a drink that tastes like the bottom of a trick-or-treat bag. Go with flavors that are identifiable (like cinnamon and peppermint) and not just, well, sweet. Will you try making candy infused cocktails for your Halloween party?